I really enjoyed reading Cyclone Christmas (published by Sunshine Books) at the 2017 Tasmanian Writers’ and Readers’ Festival on the weekend. 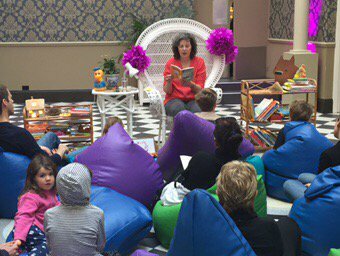 Thanks to Soncha and her team for organising the Book Nook, and to Robyn for this photo of me in the ‘big chair’. The festival was a great success with so many interesting, entertaining, and thought-provoking sessions, plus inspiring and moving book launches. Thanks to everyone involved, and looking forward to the next festival in two years’ time! 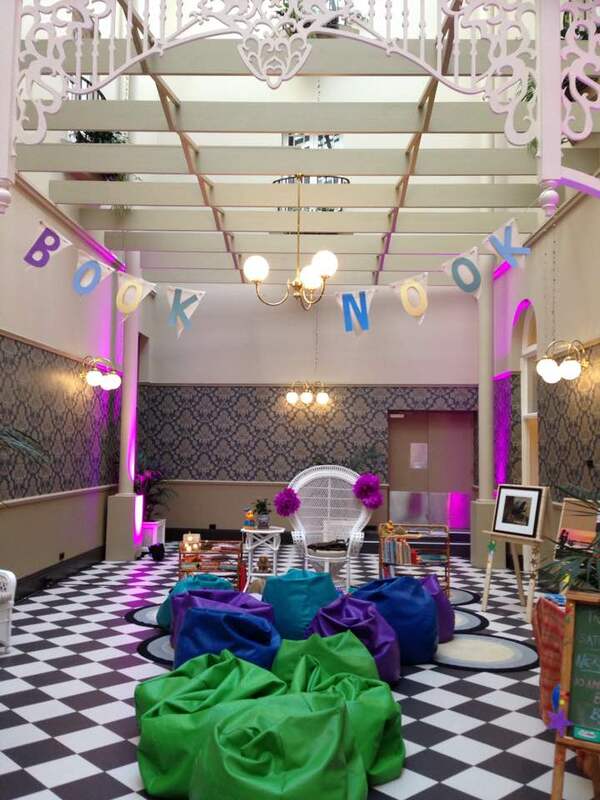 Here’s a sneak peak of the Book Nook at Hadleys Hotel in Hobart, where children’s writers will be reading from their works at the 2017 Tasmanian Writers’ and Readers’ festival. I’m looking forward to reading from my middle grade chapter book, Cyclone Christmas, @ 2 p.m. on Sunday 17th! Thanks to Soncha for setting up the very inviting space! I’m really looking forward to reading from Cyclone Christmas at the Tasmanian Writers’ Festival in September!